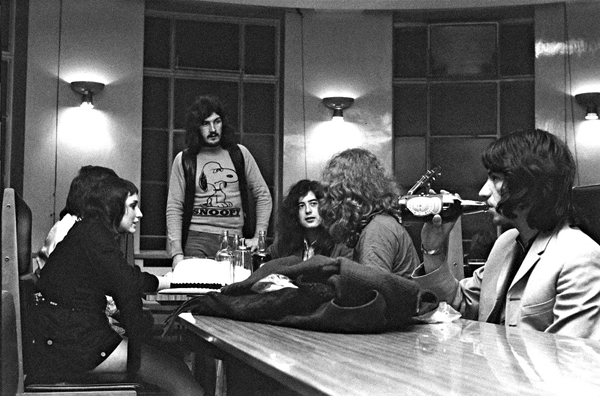 As a former owner of a vintage tee-shirt store I am always quick to notice a good rock star t-shirt. 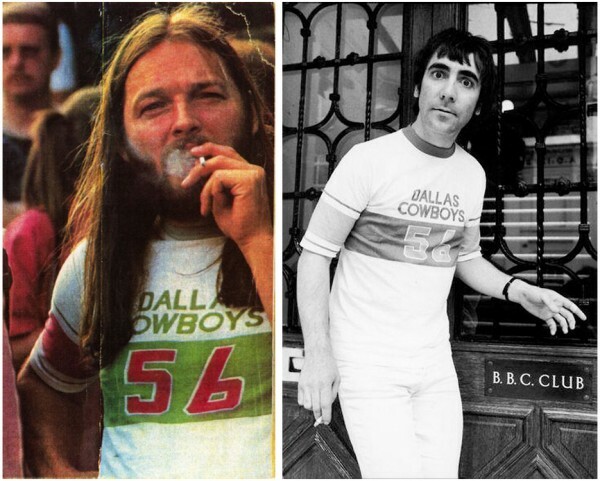 Back in 2012 I posted this cool story about The Who’s Keith Moon and Pink Floyd’s David Gilmour randomly wearing the same Dallas Cowboys 56 t-shirt. A feelnumb.com reader then lead me on to an even cooler same shirt combo. 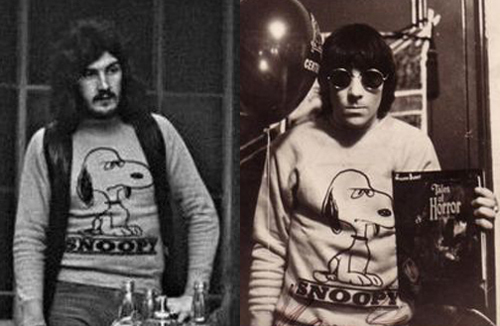 This time it happens to be “in my opinion” the two best Rock N’ Roll drummers of all-time, John Bonham of Led Zeppelin and the aforementioned Keith Moon wearing the same Snoopy Peanuts Sweatshirt!!! 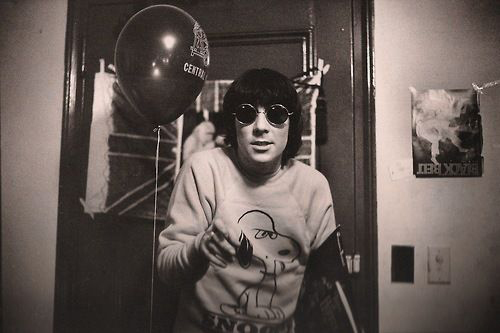 The “Moon Snoopy Photo” was taken in 1967 at the Drake Hotel, NYC, ’67 by photographer Linda McCartney. The “Bonham Snoopy Photo” was taken three years later in January of 1970 in Leeds, England by photographer John Rettie. Pretty awesome to see these two legends wearing the same Charles M. Schulz Peanuts shirt!!! 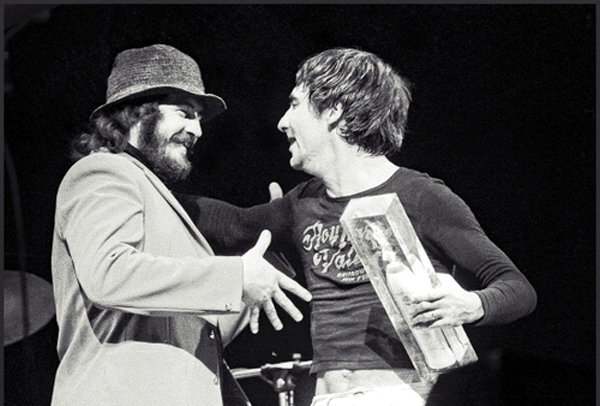 Click photo or link below to check out some cool photos of Bonzo & Moon hanging out.